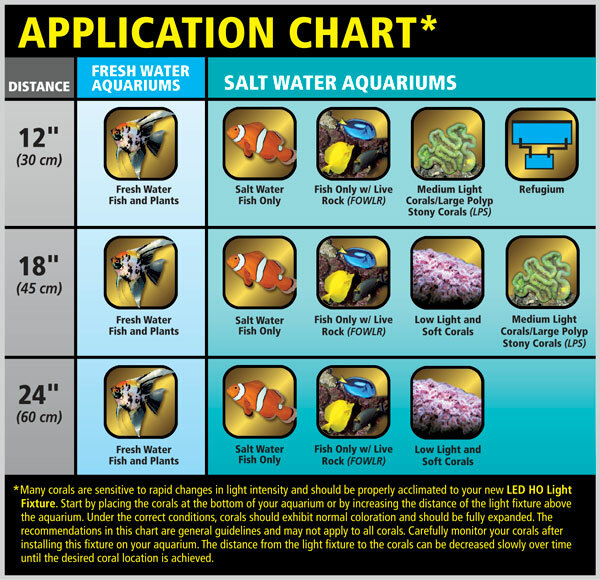 AquaSun® LED HO Aquarium Fixture | Zoo Med Laboratories, Inc.
Includes High Output 1W white LEDs, and blue 500mW for nighttime ‘lunar’ effect. 50% brighter than T5 HO fluorescent lamps. More LEDs than comparable hoods on the market = more light! Shimmer effect: Bright white light produces shimmer, just like in nature. Dual Switches for independent control of white & blue LEDs. Direct-contact PCB design & aluminum housing for better heat transfer resulting in longer LED life; 20,000 hours life rating! Individual LED modules allow for easy replacement. 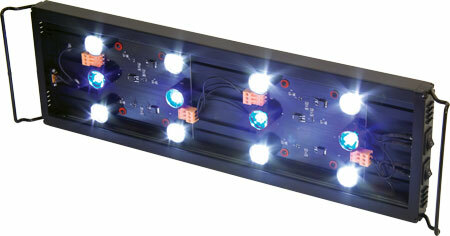 Never throw another LED hood away again! Includes optional stainless steel ‘aircraft cable’ suspension for hanging.